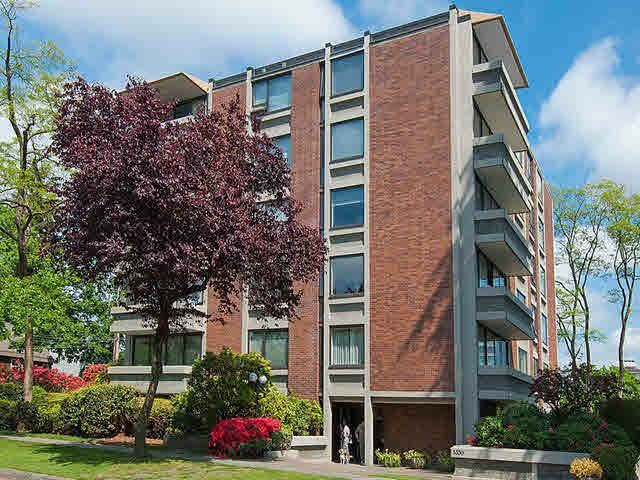 Generous 2 bedroom with 2 full bath in the heart of Kerrisdale. This NW corner suite awaits your decorating ideas and could be a beautiful renovation project. Large principal rooms, sliding glass doors to small balcony and galley way kitche n which could potentially be opened up. Very well maintained building (roof 2006, windows 2014, plumbing and electrical have been updated). Onsite caretaker, where the strata owns the caretaker suite! Comes with 1 parking and storage locker (additional parking is likely available). Free shared laundry on each floor. No pets, no rentals and age restriction of 16+. Walking distance to Kerrisdale shops and restaurants.